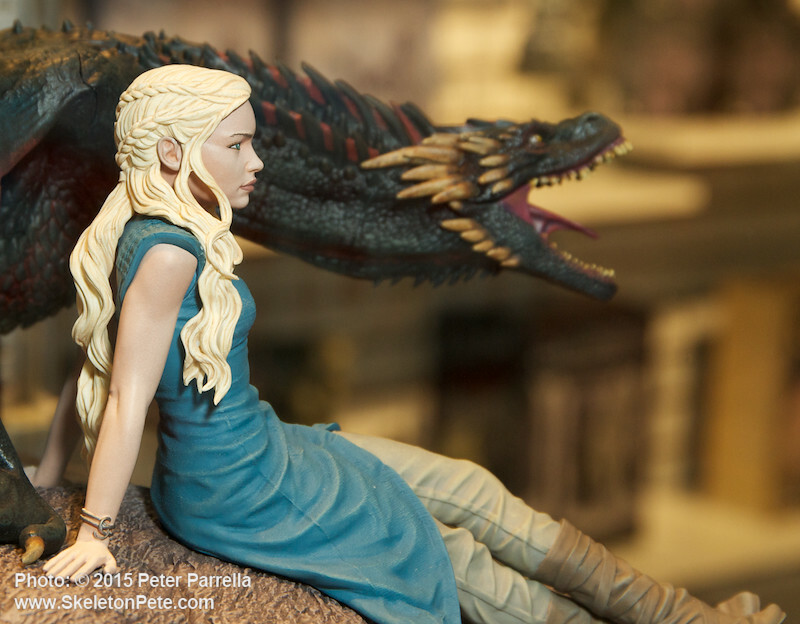 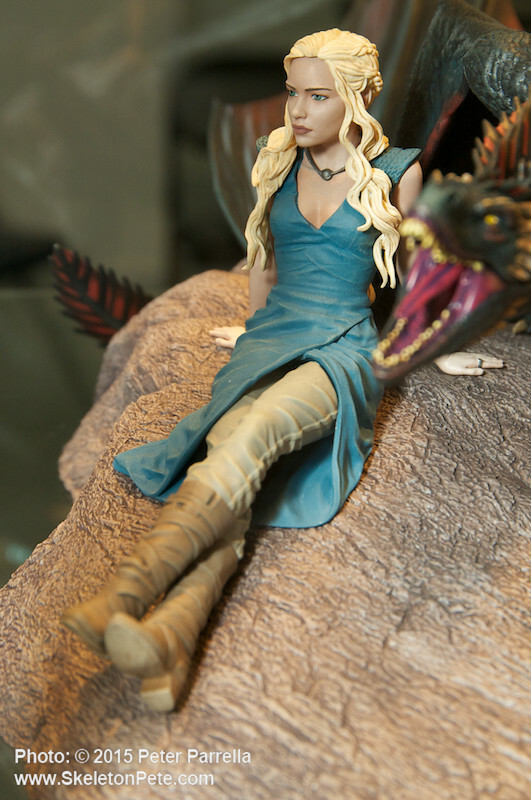 Dark Horse Deluxe Statue portrays Daenerys and Drogon in a rare relaxed moment. 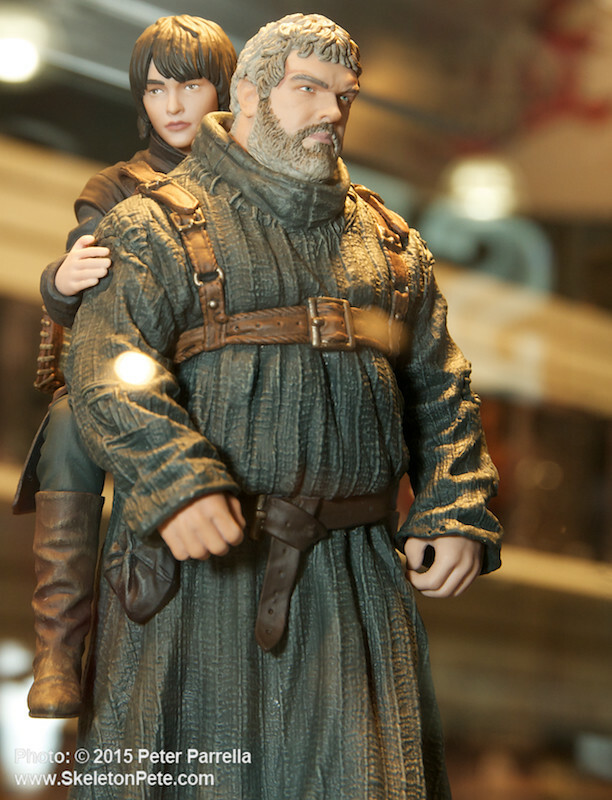 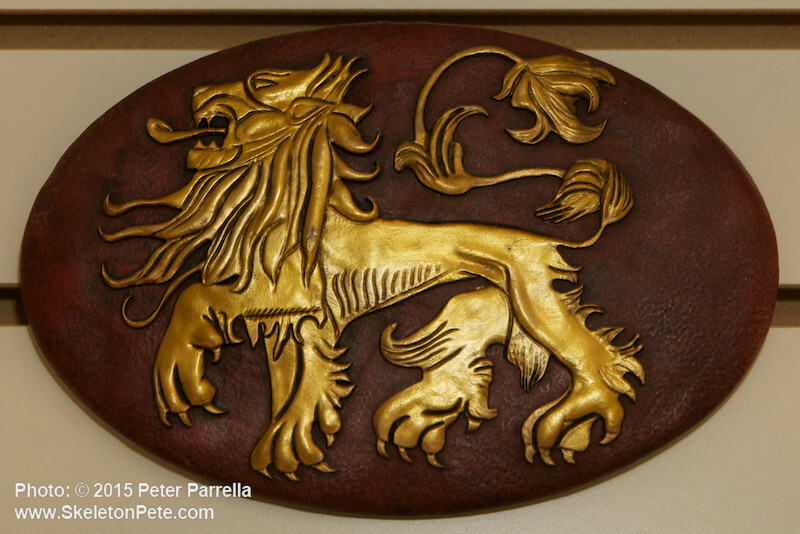 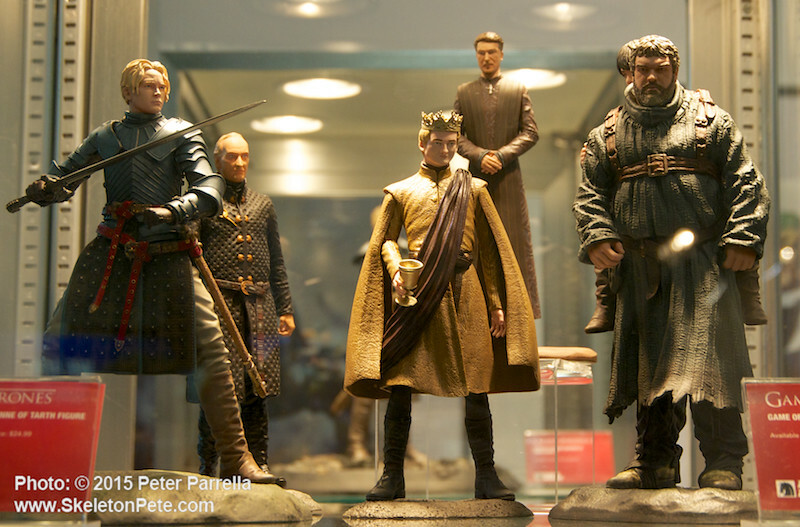 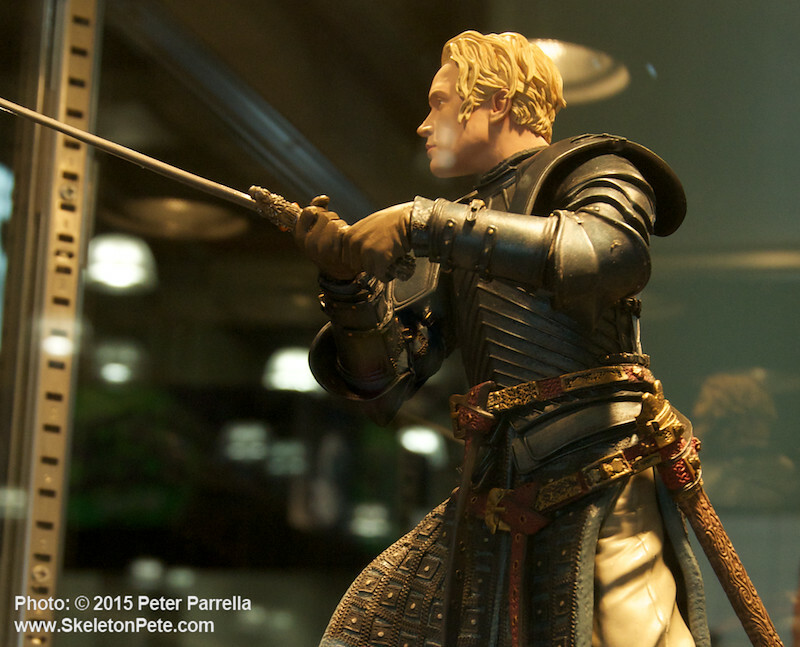 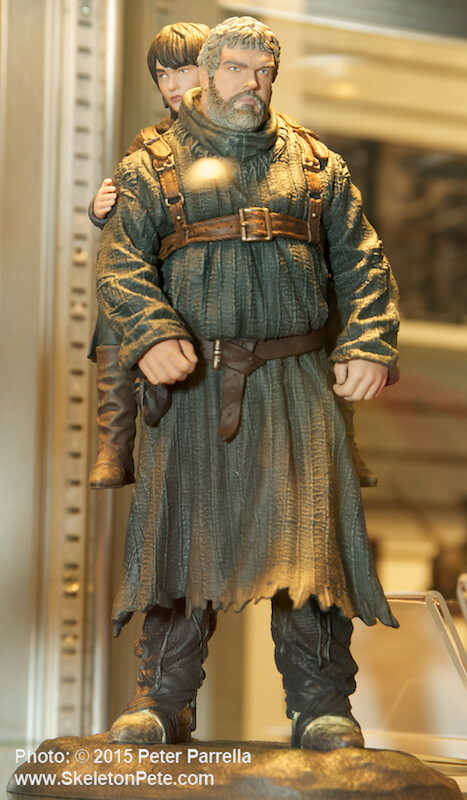 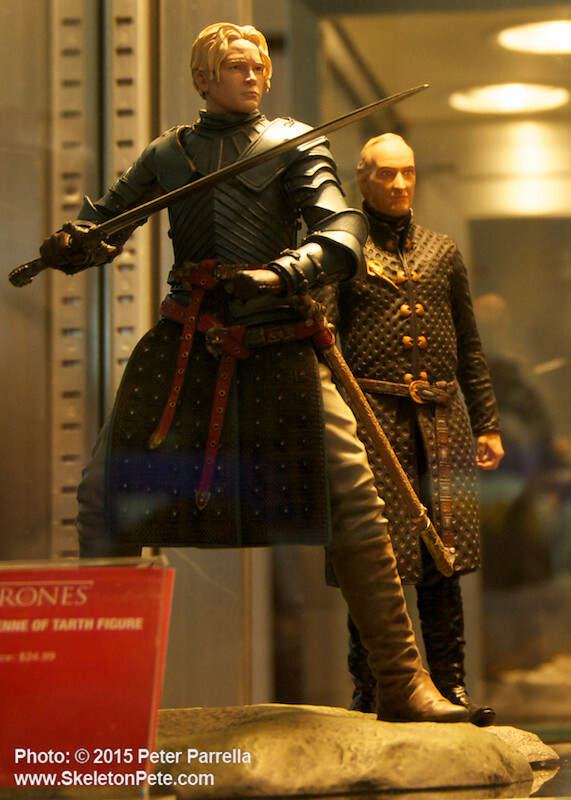 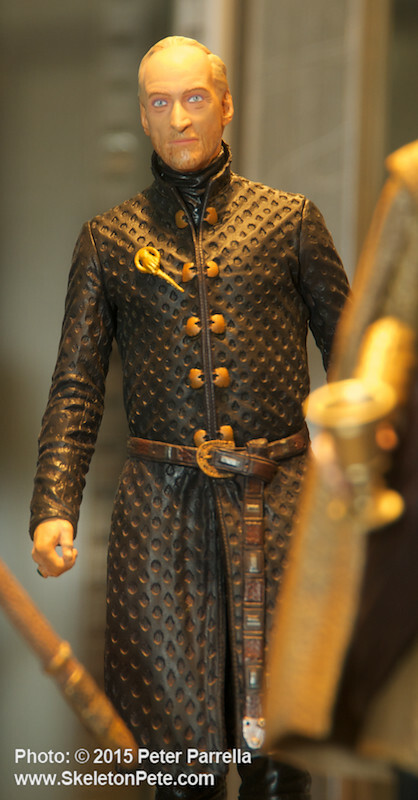 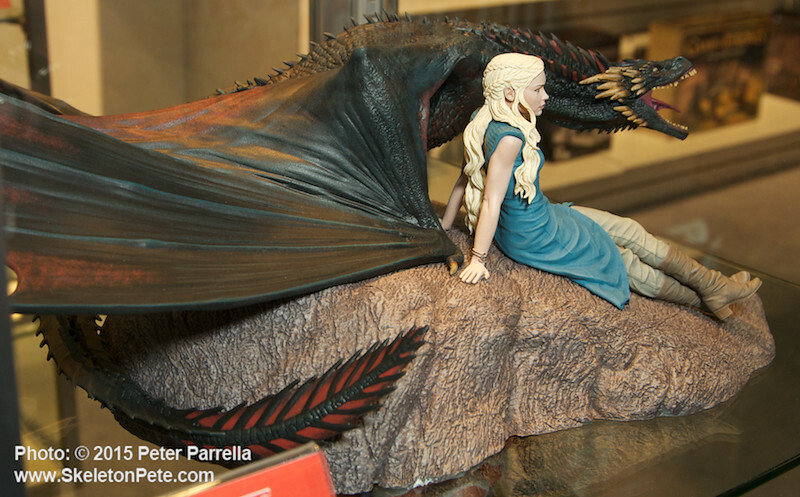 Dark Horse continues their roll out of exceptional Game of Thrones collectibles and in honor of the 5th season premiere of that mega-popular HBO epic, it seems appropriate to post a gallery of some of the series related items currently available and those just on the horizon. 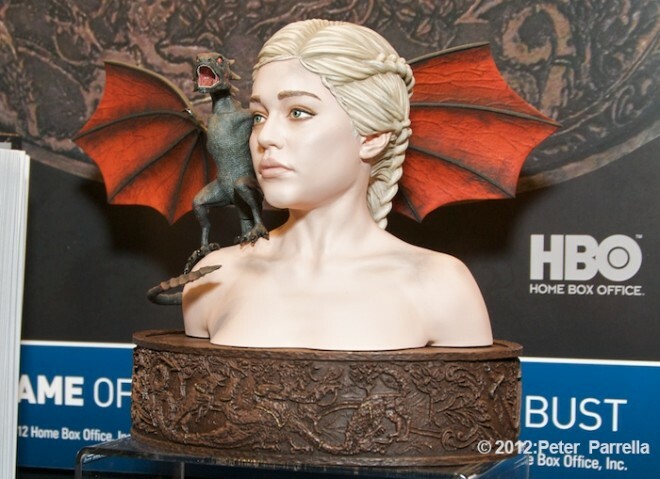 I thought Dark Horse’s original Daenerys bust (with baby dragon perched on her shoulder) was un-toppable but this new limited edition takes things to a whole new level. 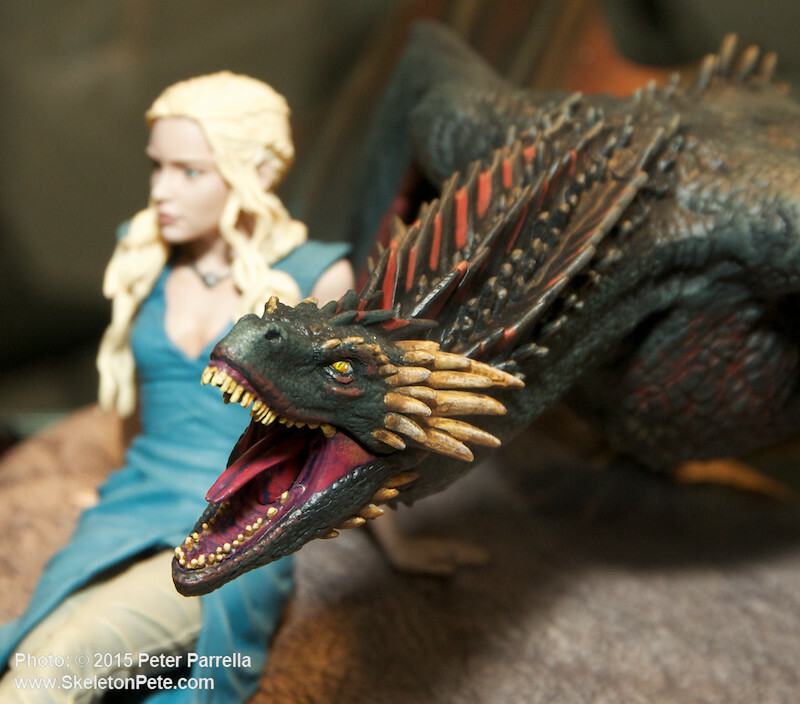 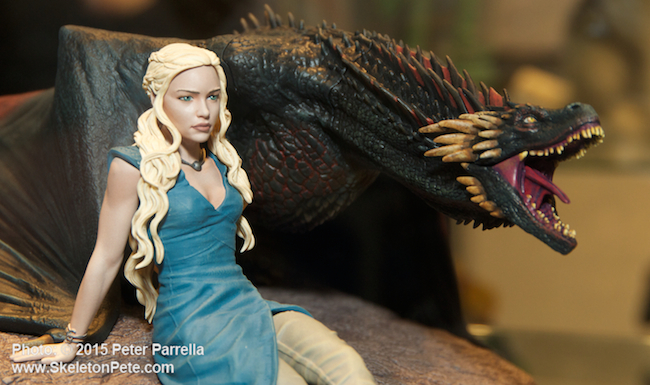 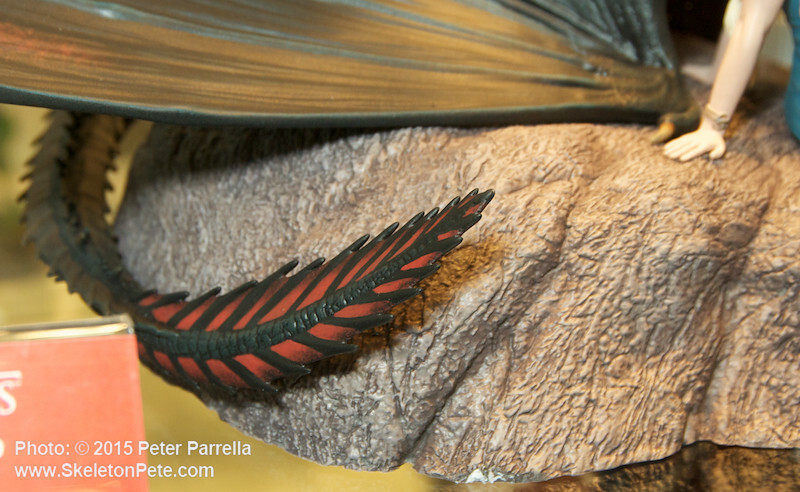 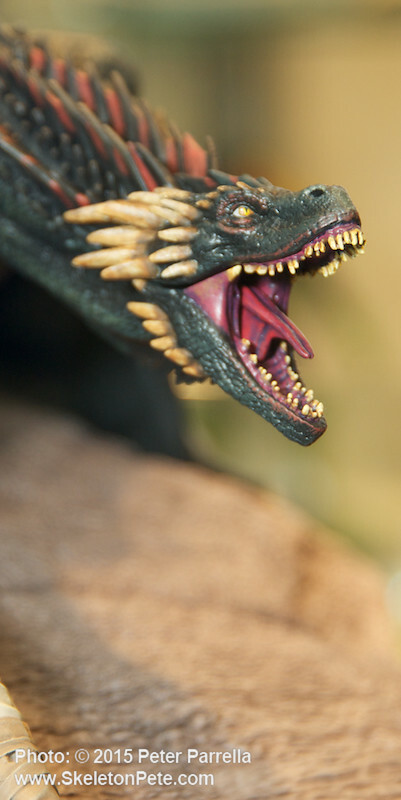 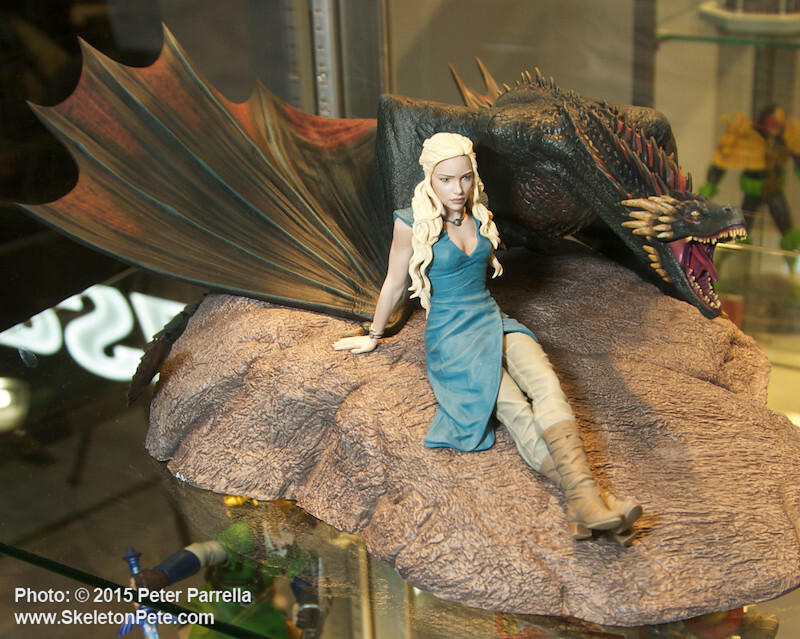 In the midst of so many amazing things displayed at New York Toy Fair 2015, the prototype of Dark Horse’s Deanerys and Drogon statue was a stop-you-in-your-tracks attention getter. 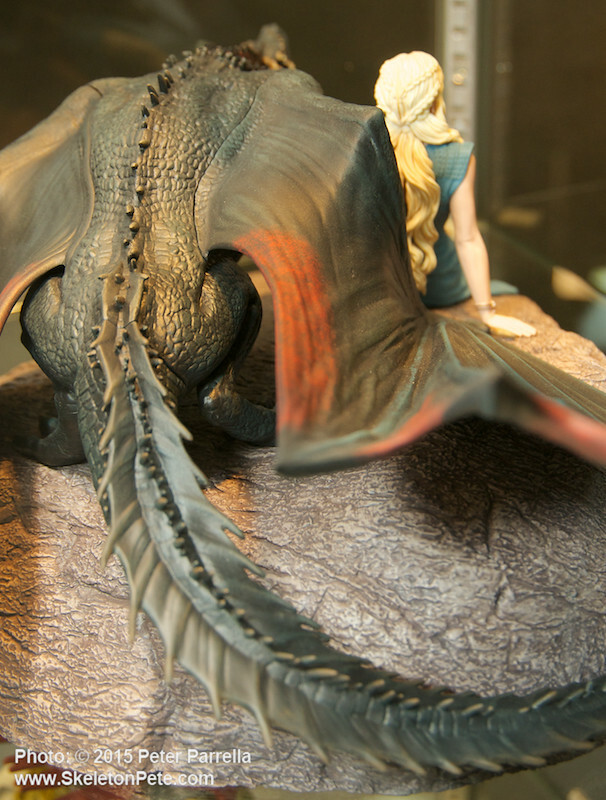 Evoking a calm before the storm moment – just a girl and her pet hanging out – the massive 18” long x 14” wide showpiece comes prepainted and will be available in July 2015. 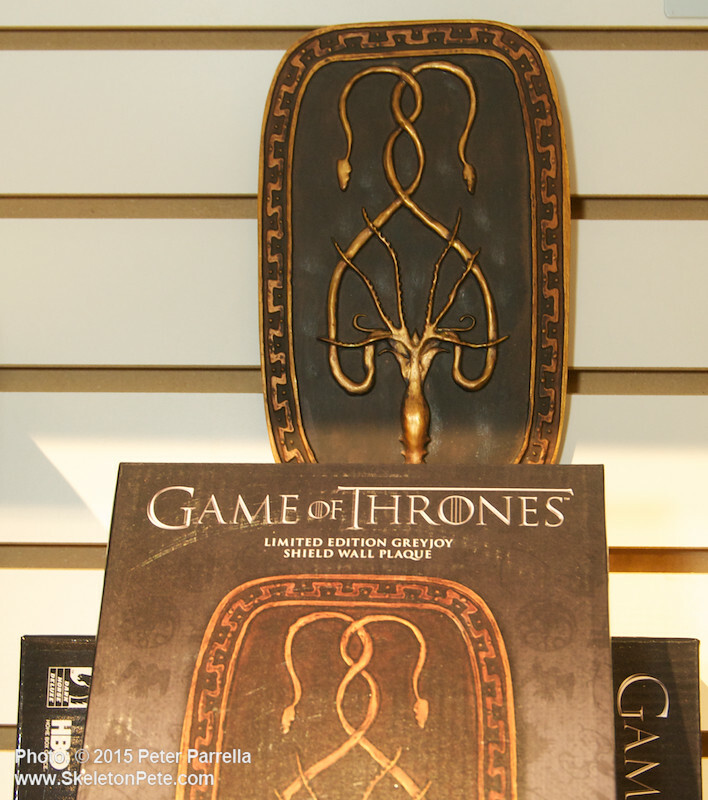 Pre-orders are probably a smart move as previous Deluxe editions, like Jon Snow and Ghost, have quickly sold out. 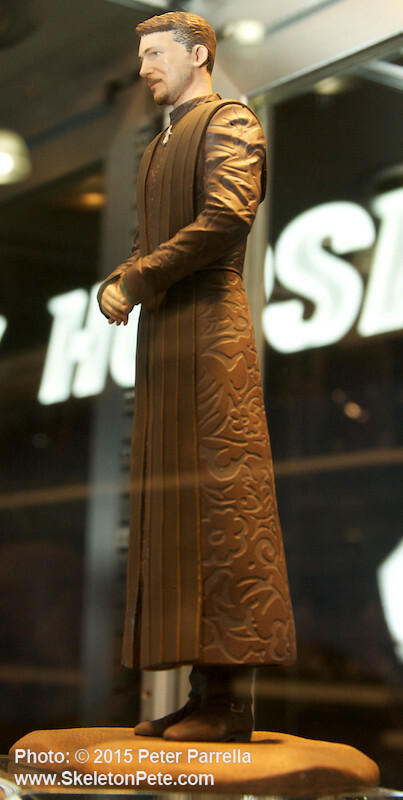 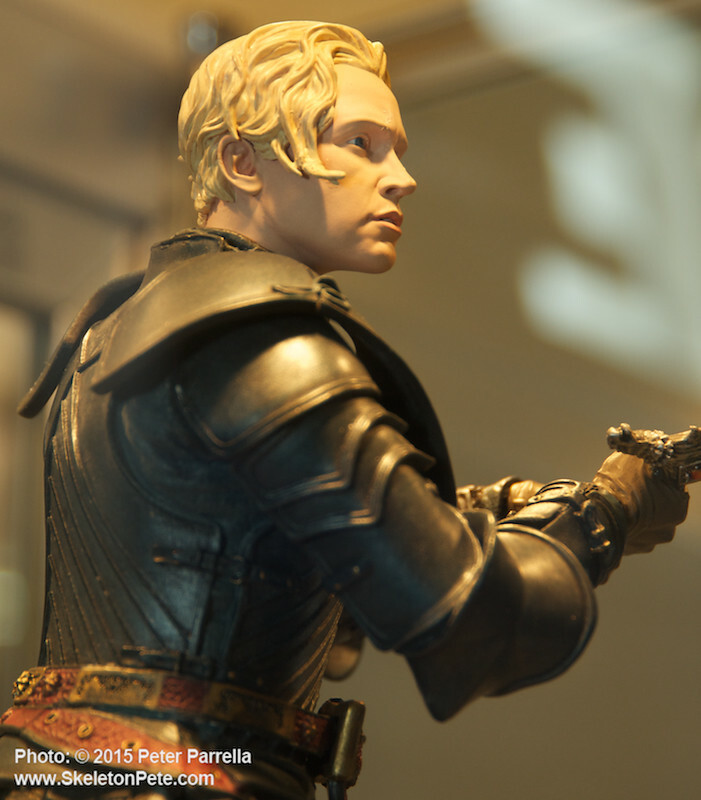 If July is too far away, fans of Brienne of Tarth can get her visage in statue form starting this Wednesday, April 15. 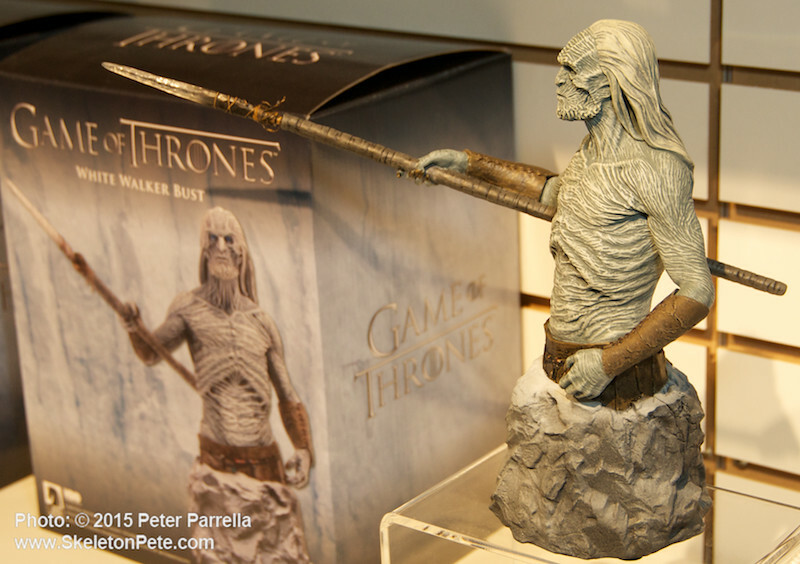 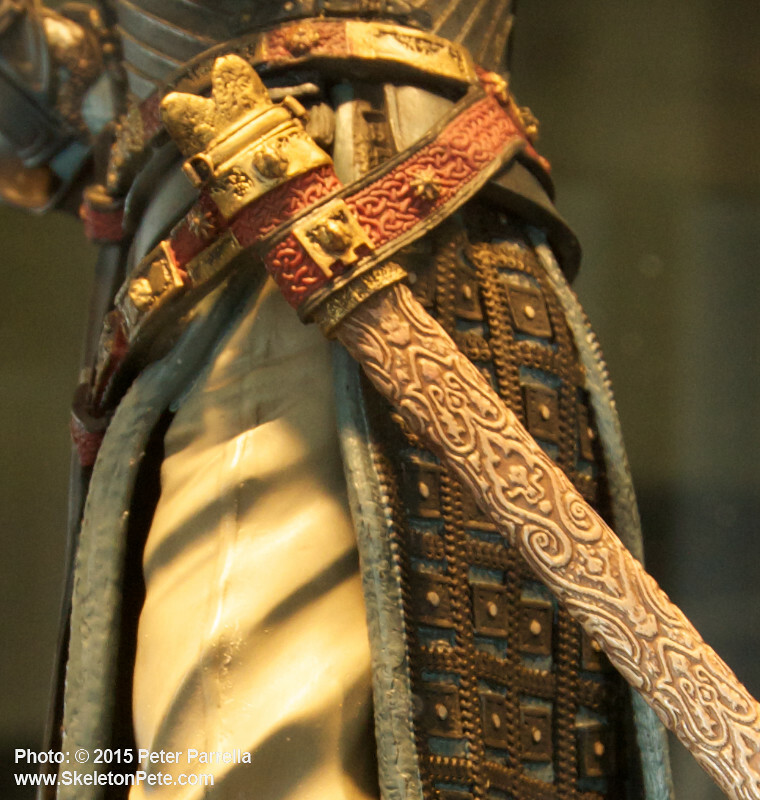 The 13″ tall statue is a finely detailed Gentle Giant Studios sculpt that portrays the warrior in fierce fighting pose wielding Oathkeeper her spell-forged sword of Valyrian steel. 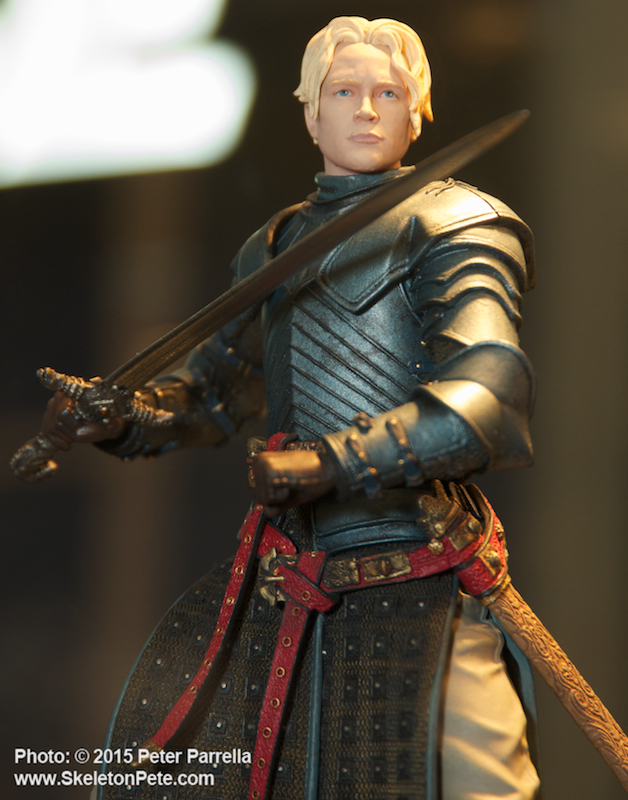 Brienne is limited to a casting of 950. 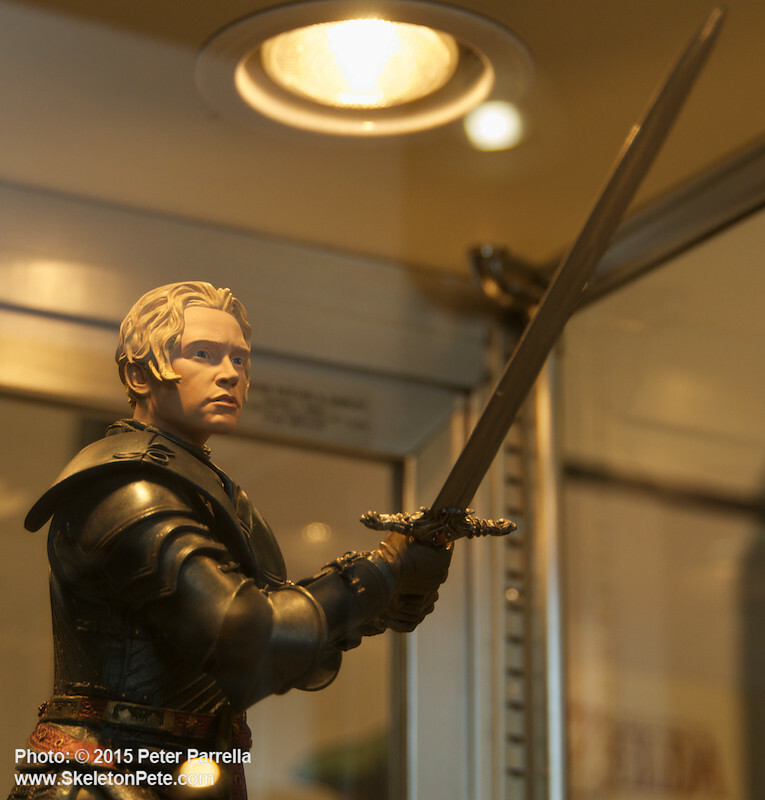 Brienne brandishes Oathkeeper her spell-forged sword. 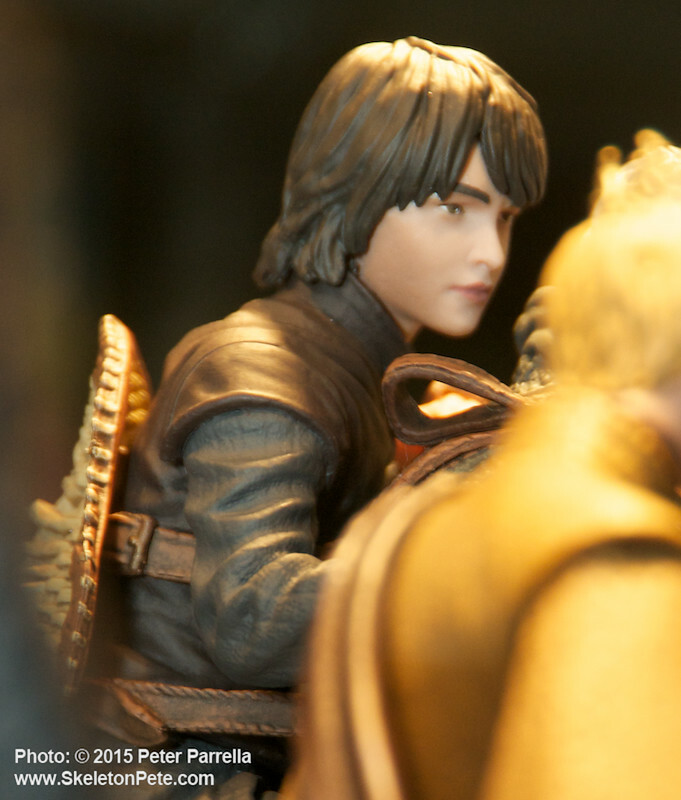 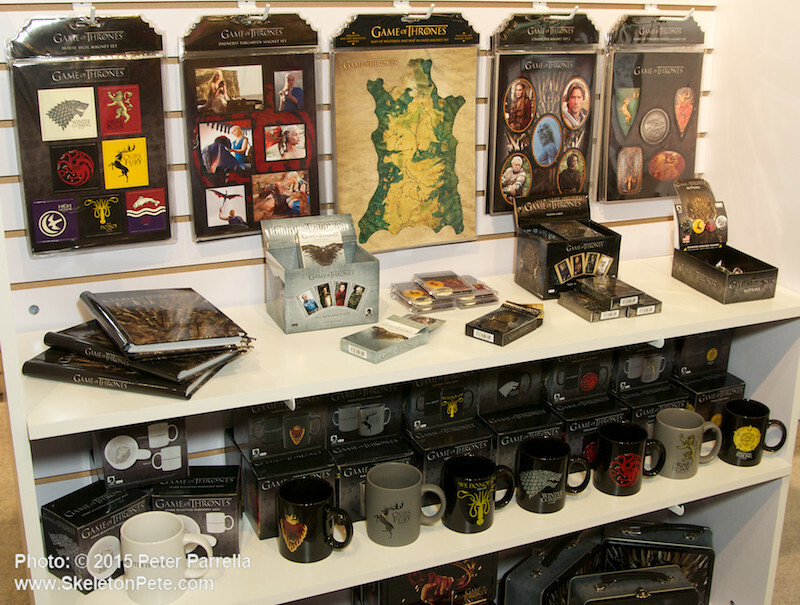 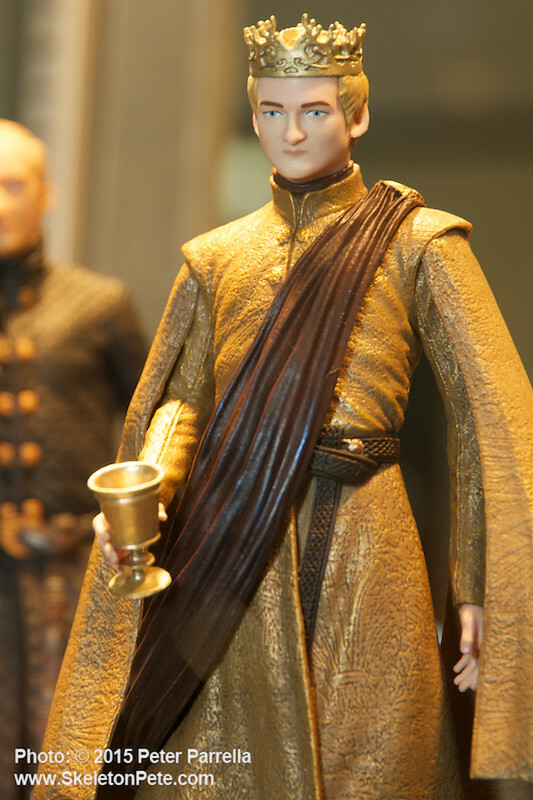 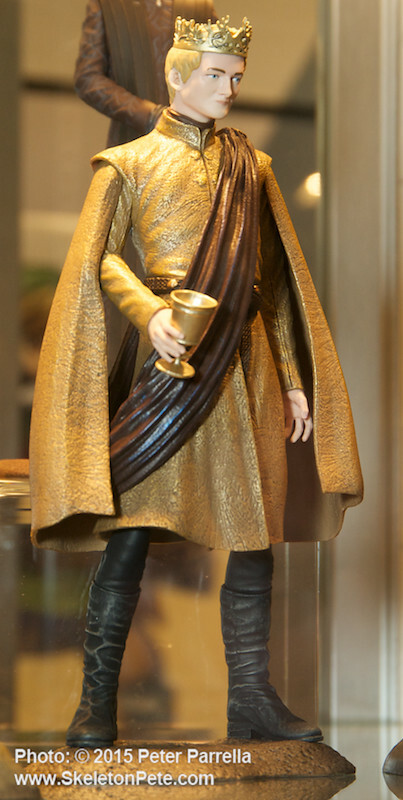 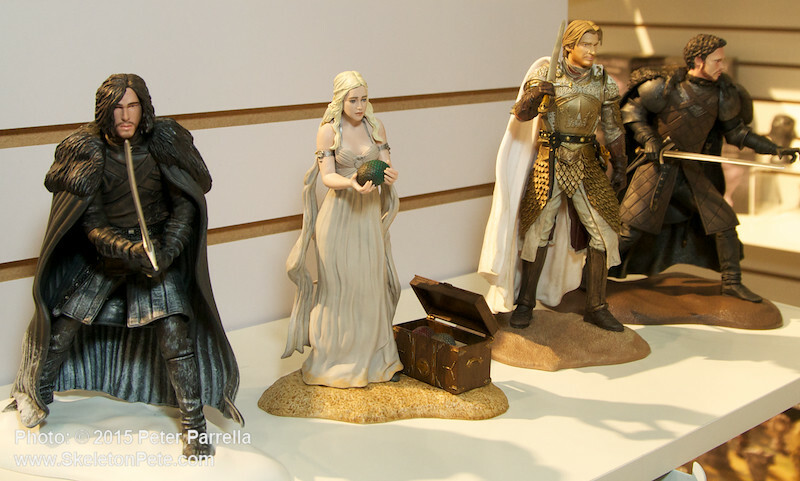 In addition to these high end deluxe offerings Dark Horse has Game of Thrones collectibles in every price range, including crests, coffee cups, and moderately priced production figures. 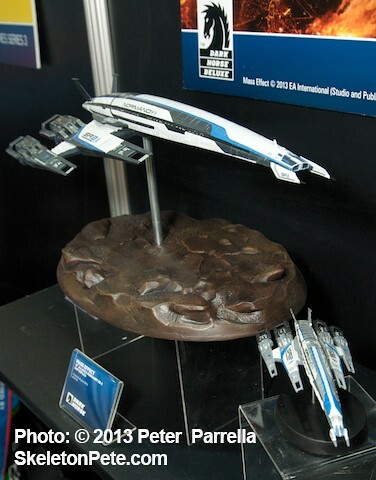 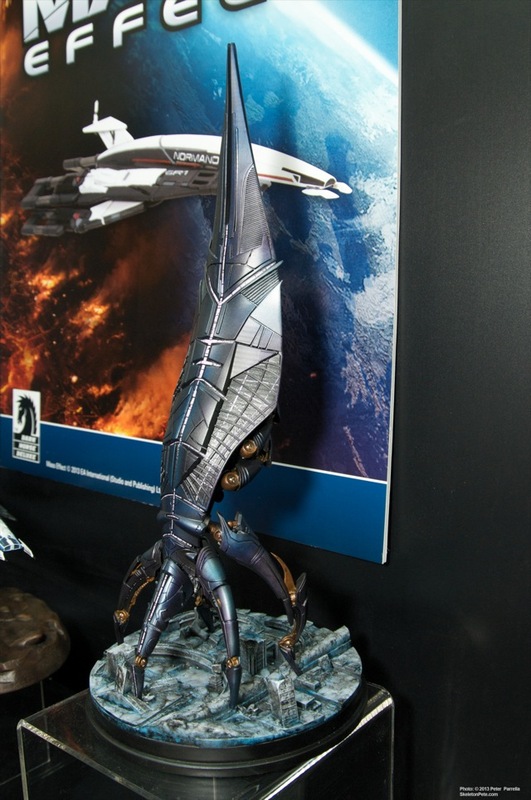 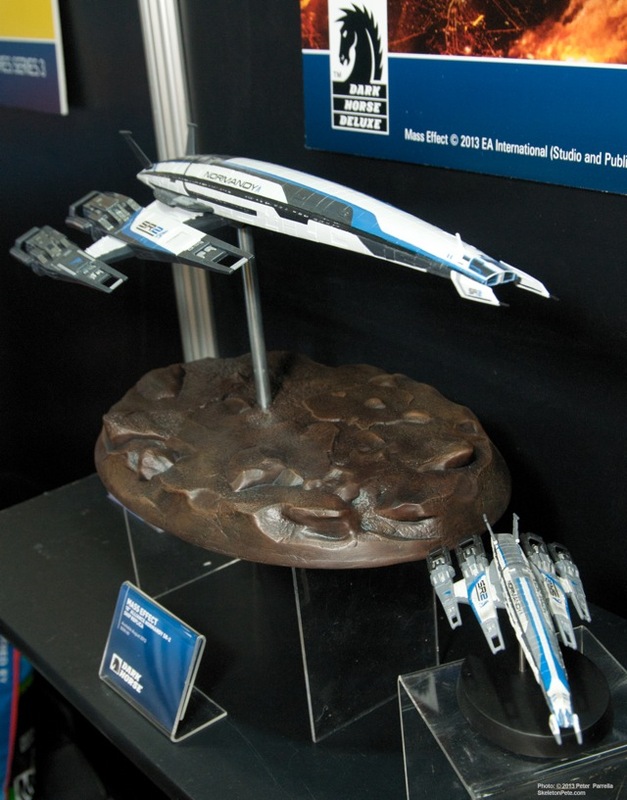 First up from Toy Fair 2013 is a treat for all fans of Bioware’s Mass Effect franchise. 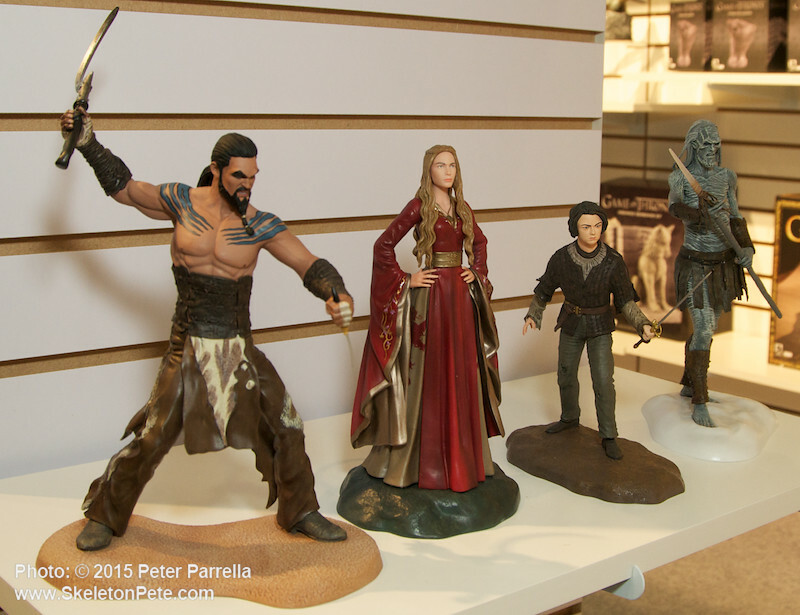 As they did last year the fine folks at Dark Horse Deluxe allowed me an advance look at their upcoming collectibles tied to this popular video game. 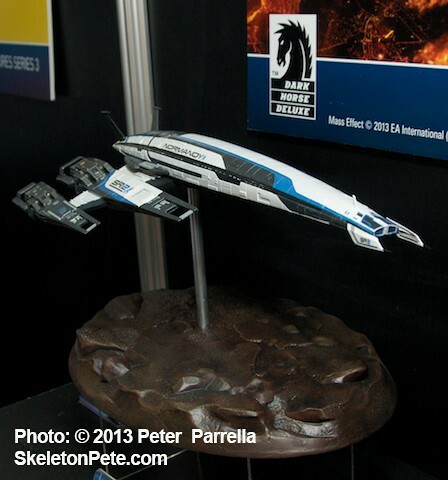 Although last year’s announced miniature Reaper replica did not leave the prototype stage, Dark Horse did make up the difference with their astounding 18.5 inch limited edition, which sold out almost immediately. 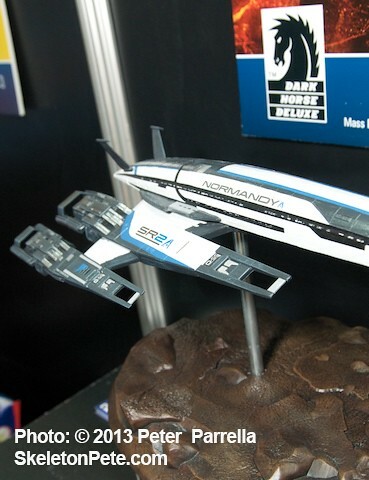 Based on the large Reaper’s instant success the company has just revealed its plans for a similarly sized Alliance Normandy SR-2. 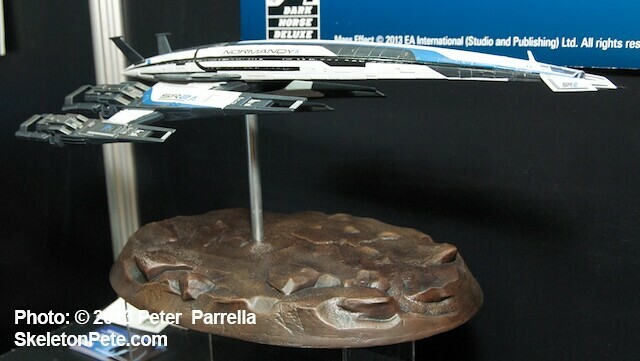 The 18 inch beauty, on its own base, will be coming your way in late August of 2013. 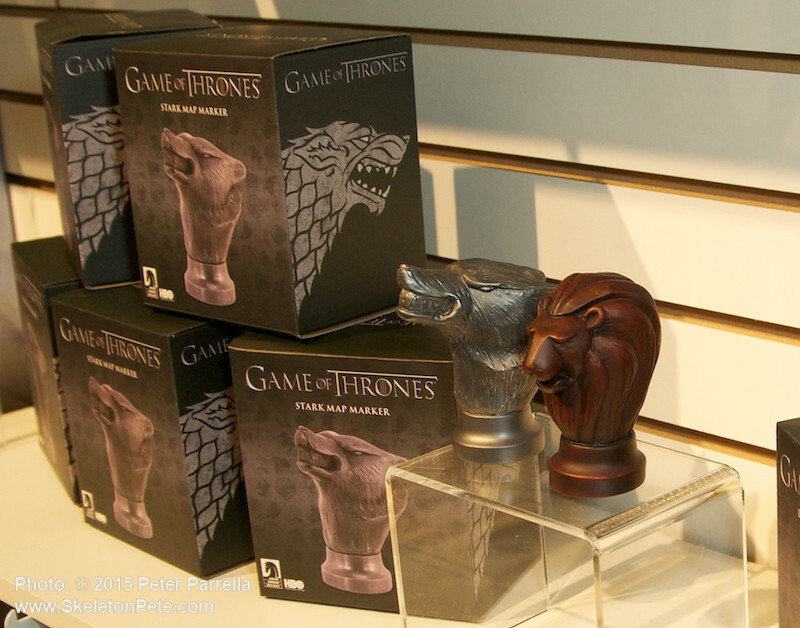 It will be a limited edition of 1,500 pieces. 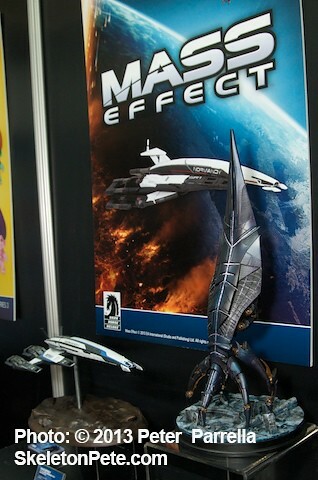 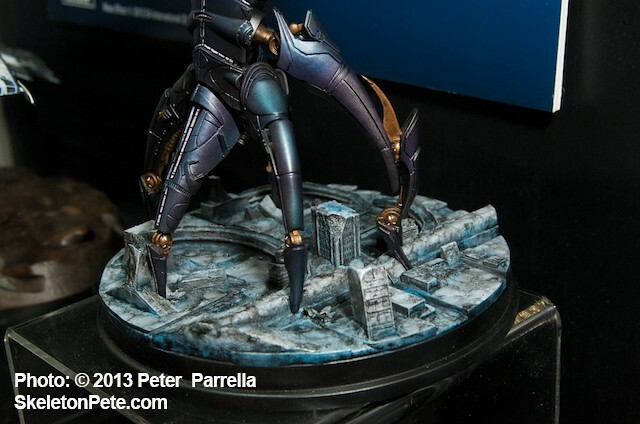 You can see a nice comparison of this grand display piece and its miniature brethren in the photos. 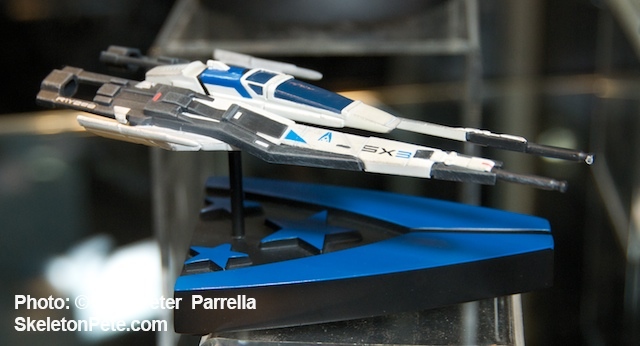 It was great to get a first hand look at the sold out Reaper and the SR-2 protoypes, as well as additional miniatures soon to be released. 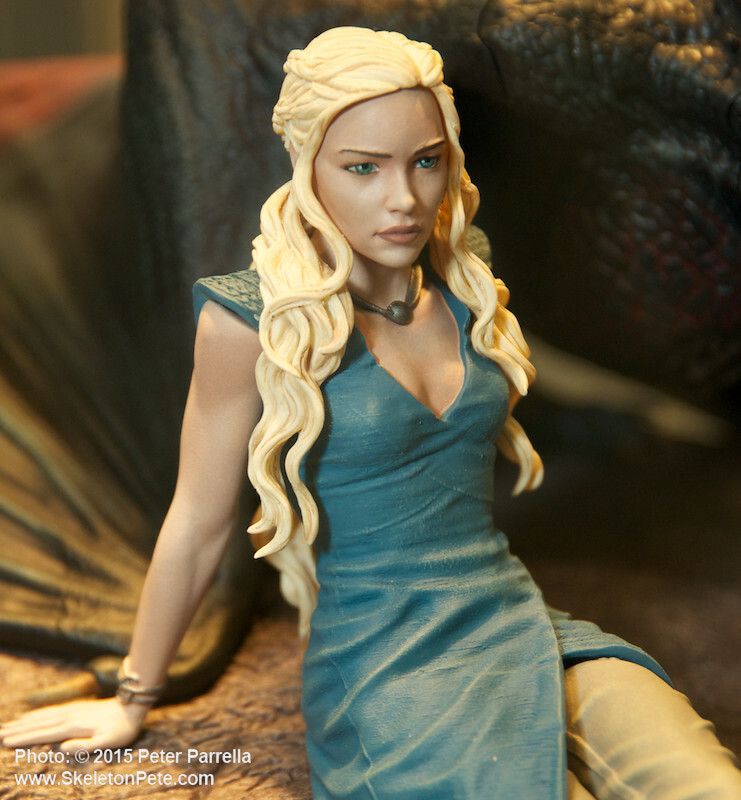 If you’re riding high on your dose of the new season of “Game of Thrones” you can quench between episode joneses pondering this amazing likeness of Emilia Clarke as Daenerys Targaryen. 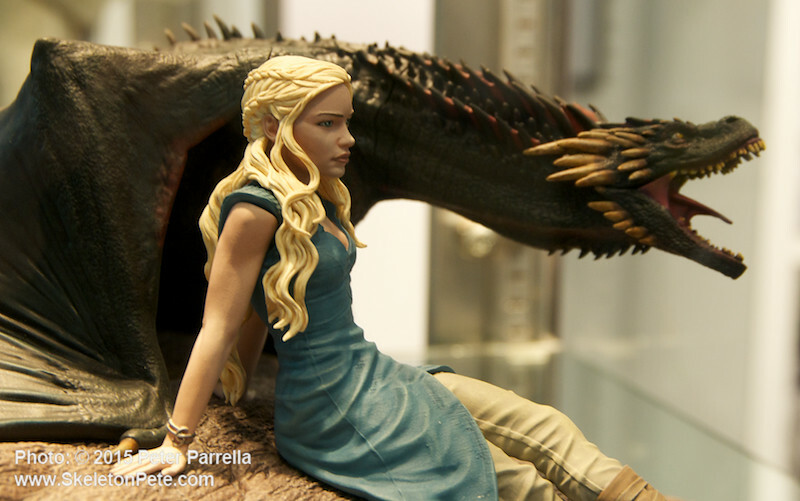 The unburnt “Mother of Dragons” is fittingly replete with baby perched on her shoulder, just like the final scene of season one. 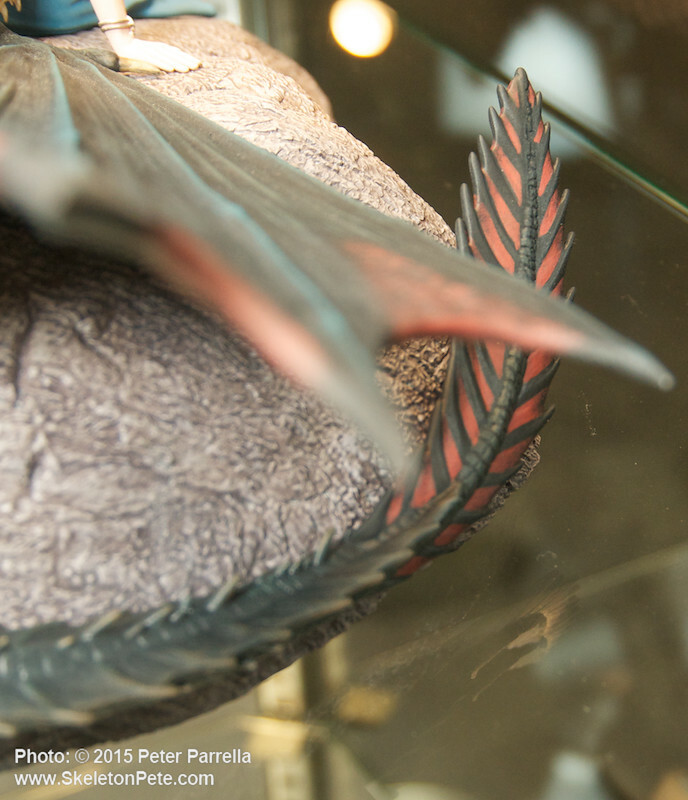 A color variant, representing the hues of Viserion, will be exclusive to Entertainment Earth. 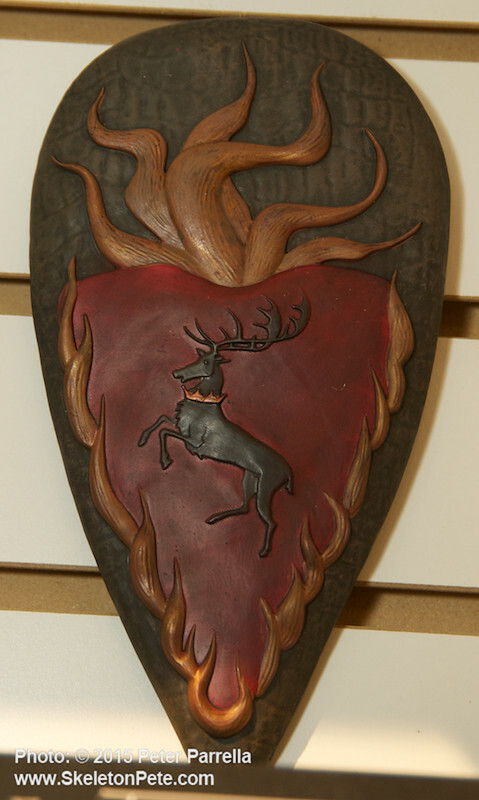 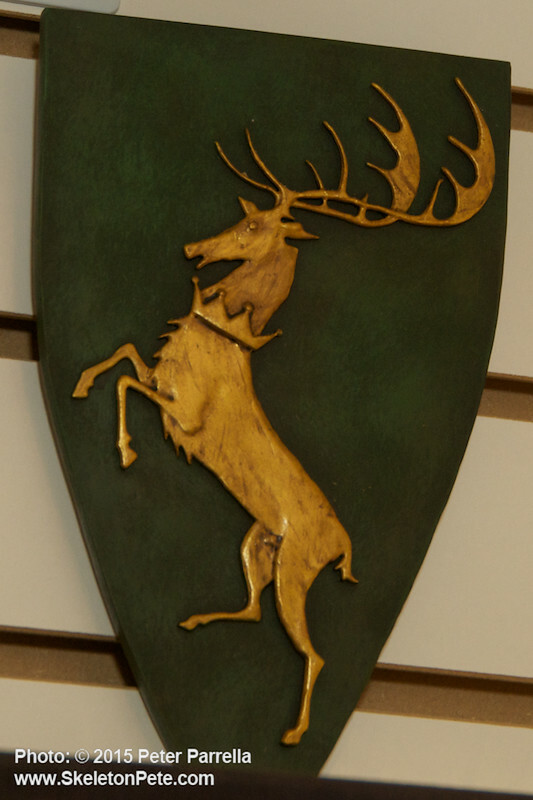 The included base is entwined with relief work depicting the iconography of the show’s opening titles, featuring dragons and stags and wolves. 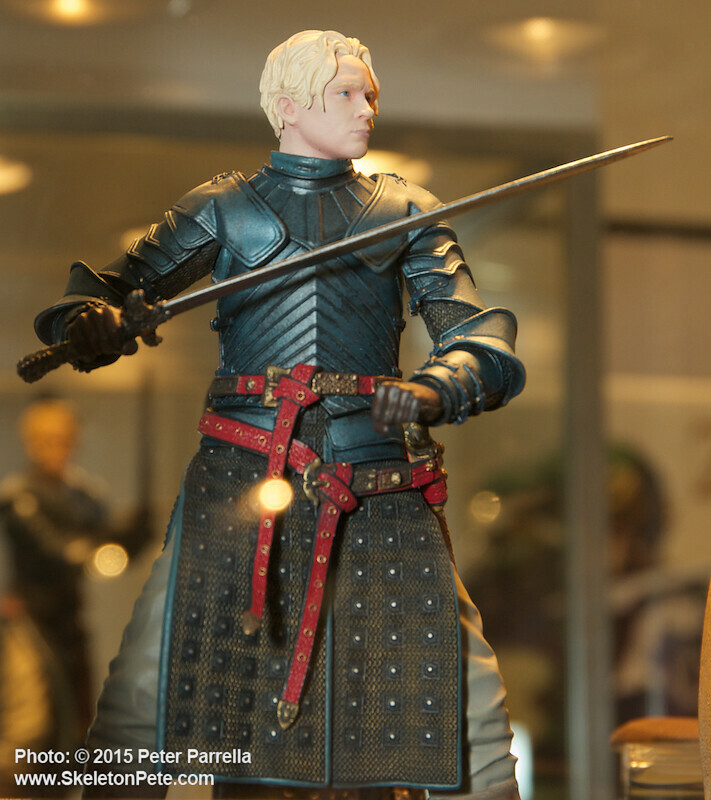 Not much is left to say when the picture above speaks volumes, but having personally perused this piece from Dark Horse Deluxe and HBO licensing I must note it is simply stunning. 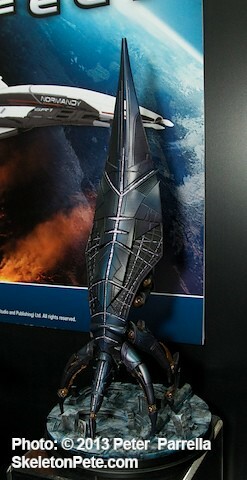 Expect this limited edition to be available in late June. 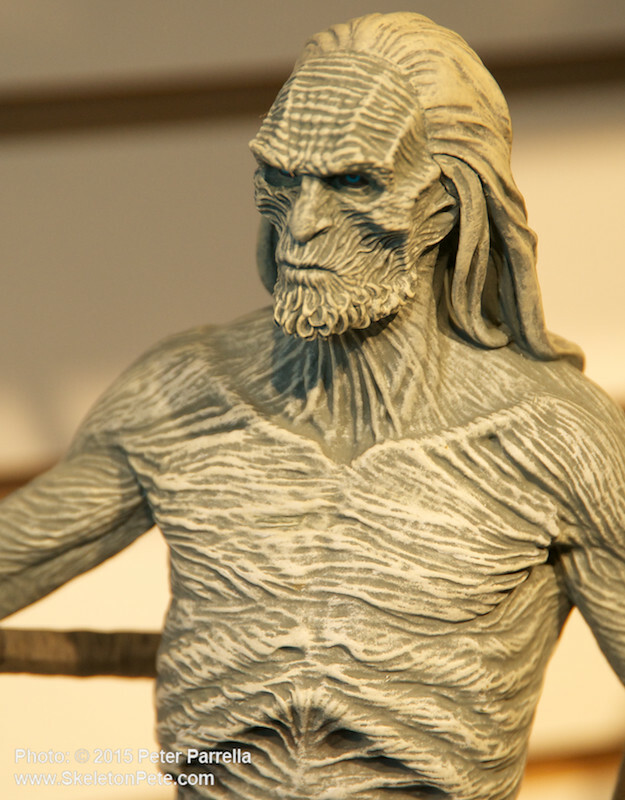 The Gentle Giant Studios sculpt is approximately 7 inches tall and 8 inches wide.